and thou shalt have no healing from me, if thou leavest me not." In both the Cattle Raid of Cooley and the Tain Bo Regamna the Morrigan and Cúchulainn have an exchange where she promises to come against the hero in different animal forms, and he in turns promises to deliver his own attacks. One of the shapes she takes is that of a wolf. 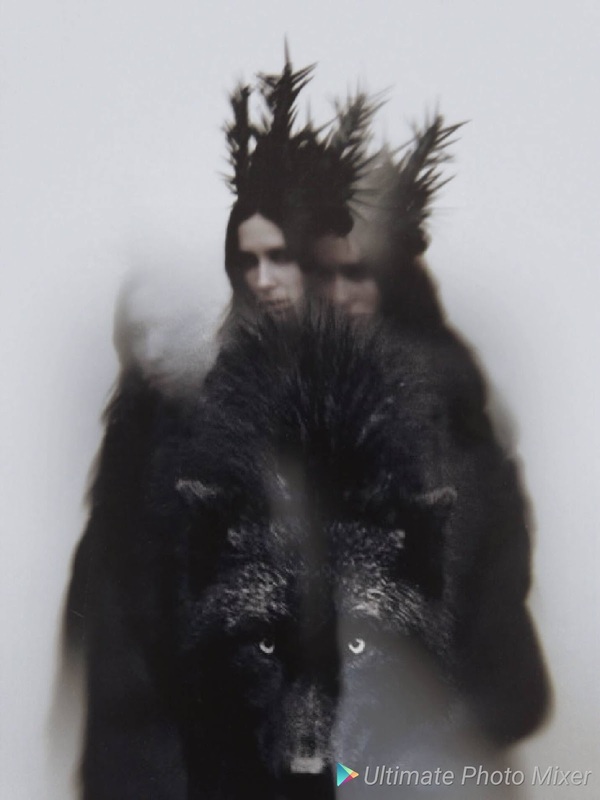 While most are familiar with the Morrigan’s connection to crows and ravens her connection to wolves has a particularly important connotation for me. There is a personal meaning behind it, and one that is often on my mind. In 2014 I was teaching at a conference along with my friend and fellow Morrigan cohort Morgan Daimler. A few of us were splitting a hotel room for the conference and one night while decompressing in the hotel room we were out of the blue given a very strong message from the Queen. If you are familiar with channel work you might already know that if a deity needs or wants a message to come through, sometimes there is very little you can do to stop Them. This was that kind of unexpected message. And a message that has guided a number of my decisions, and approaches to community, since that night. I was not the one who channeled the message but I share it here with Morgan Damiler’s consent, as we both feel it is something important. Part of the imagery she saw was devotees fighting like dogs over scraps of bones while the Queen urged that She wanted wolves, or hounds, who perhaps where not quite a pack but at least ran in the same direction and not against one another. Afterwards she saw those wolves going off into all the directions of the globe, accomplishing their own work and purposes. "My followers are headstrong proud people. They are strong willed. This is good. But nothing is accomplished when all fight among themselves like dogs snarling over a bone. To achieve anything of worth you must find common ground and seek what unity can be had in diversity. 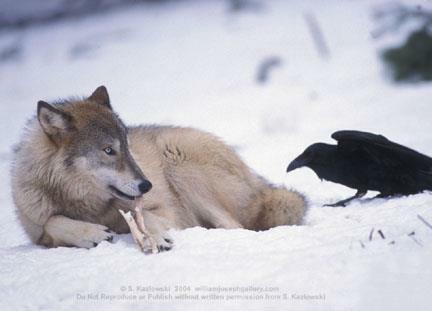 I would have a hunting pack fit to take down any prey, not feral hounds fighting over scraps." I remember the strength that came through in those words, the demand to not disappoint in them. And the look in Morgan's eyes that were not her eyes anymore. We really are a headstrong bunch. But even if we disagree with one another, even if we are given different marching orders in this world by the Queen, have different takes and viewpoints on life, whether you see the Queen as simply the Irish Morrigan, or the Gaulish Cathubodua while someone else instead connects to her as Morgan le Fay, or Nemain etc and you do not see her as such, I hope that we can respect each other despite those differences. Let us not be stray dogs but the finest of wolves. The kind of regal wolf I envision meeting Cúchulainn’s challenge. If there is one downside to be a devotee of a goddess connected to war, it is that Her followers have a tendency to fight a lot. Although perhaps it’s not just something rampant in the Morrigan devotee’s community. It’s a growing thing I keep coming across a lot in Paganism in general. We’ve kind of forgotten how to get along with one another, unless of course the other person believes exactly what we believe. I’ve come across other devotees who relate to the Queen in completely different ways than I do. Some are new to their relationship with her, others have had a relationship with her for just as long as I have or longer. And to be quite blunt some of us never will relate to her in the same way. And probably shouldn’t. The marching order she gives one person might be very different than the ones she gives to another. Any good general isn’t going to send all the troops off to do exactly the same task. And a tribe is only a tribe because of its differences, the myriad of talents, coming together that support the whole. And you know what? That’s ok. She shouldn’t want the same things from each of us, because we are not all the same. We don’t all need the same things in life, or to learn the same lessons, nor can we as devotees all offer Her the same things. I don’t think the Gods are here to just make you a better person. There are elements of that, they teach us certain lessons, and a devotional relationship can be mutually beneficial, but the Gods I think always have the long game in mind. They are looking at the big picture. They move in the world with a purpose. And they have Work for each of us to do. More and more in Paganism I see the trend of UPG (unverified personal gnosis) battles, and devotees arguing over what is the correct way to honor or view a deity. Or getting bent out of shape if someone has a view point or UPG that doesn’t fit with their own views. For many people Paganism is appealing because there is no dogma. No bible, no holy book, sometimes really no “spiritual roadmap” other than the one you discern for yourself. Being a devotional polytheist I don’t have much of a problem with not having a set in stone road map. When the Morrigan first showed up in my life there was barely anything out there written or really being said about her. A few scant references in books that warned me DON’T GO THERE. DANGEROUS GODDESS. All of which I ignored, having to jump off the deep end and just trust my relationship with the Morrigan. Many times I would have an experience with Her then not long after find something in my research or in reading the lore that would confirm something about that experience. It was like a spiritual trail of bread crumbs if you will. Did I worry about if I was doing something wrong? Sure everyone worries about that at some point. But I trusted that relationship and continued on, and eventually I learned to rely on that connection with Her. I really didn’t have anyone else to ask about how to go about my practices other than the Queen herself. Saying her name in circle was like brining up Voldemort. And as hard as that was, I’m kind of glad that I was forced to trust my instincts, and my connection to Her. Because if I didn’t learn to build and trust that connection, I don’t know if it would have formed so strongly. While the appeal of Paganism is that there is no dogma, the problem with it is there is no dogma. A lot of people really don’t know what to do with that. A natural reaction might be to just let someone else figure it out for you. Find someone who has been doing it longer than you and has “the answers”. We pick the Pagan Guru we like the best and defend their methodology vehemently but never take the leap of discovering our own way of doing things, or finding our own answers. And when we don't figure out the answers for ourselves, when someone questions why we believe something or do something a certain way we react defensively out of our own uncertainty. Because no one wants to think they are doing something as personal as their spirituality incorrectly. We loose site of that fine line between 'We can agree and still be friends' and 'You don't agree with me so clearly your judging me'. Michelle Skye makes an insightful observation in a recent post. She laments that Paganism has become very judgmental, and that her own experiences when she found Paganism where very welcoming and open to different modes of thinking and opinions. She mentions in passing that Paganism has gone from a grass roots movement/religion to a more social media based one. I have to agree the Paganism of today isn’t the same as it was twenty years ago. Back then you were just happy to find another pagan in the same town as you, you wrote to green egg or scrolled through profiles on Witchvox to find other Pagans. Now there is no need. We can communicate with almost anyone we want to interact with online through social media, emails, webcam, you name it. There is something somewhat impersonal about online interactions, or being able to use anonymous names or accounts. You don’t really have to be polite, and most people get into fights and dramas online that they probably wouldn’t have in a face to face interaction. And if you do interact with some you don’t like or has ideas that you don’t like, or go are simply different that you personal UPG well then you can just unfriend them or block them. In short we have forgotten a very vital skill: how to interact with someone who think differently than ourselves, and in short how to be civil in a lot a cases. I wonder if Skye has hit the nail on the head. Maybe we have lost touch with our grass roots? Maybe social media and interacting online has changed paganism in ways we haven’t expected. And we have lost touch with our base. Paganism is growing up. If we consider the emergence of Wicca as the beginning of the rebirth of Paganism in general in the western world, then we are talking about a religious movement that is about 100 years old if that. Regardless of whether you practice Wicca in particular or not it is the spark that started Paganism as we know it today. We have grown out of our infant stage and are now a moody teenager movement full of snark and trying to figure ourselves out. I have no problem interacting with people I don’t agree with, but this idea that you can’t have fellowship and pray with someone who thinks differently, has different politics, beliefs, or have to worry if they will unfriend you or accuse you of not being “pagan enough” or not honoring the Gods in the “correct” way, is toxic. Having an opinion on a practice or simply saying it is not something you would personally do are all valid things in my opinion, but they all require the simple etiquette of having respect for one another. Instead of taking pride in how many people we unfriended for not agreeing with us, maybe we should take pride in being able to find common ground, in being able to respect someone else’s view point even when it’s not one we share. Wolves are predators, they are dangerous, they have opinions. But they are also loyal. Working together they can take on things far bigger than themselves. I hope we learn to do that too. I hope we learn to truly be Her wolves in a way that honors Her.